Improving your health and making your home cleaner are just two of the reasons to improve indoor air quality. It sounds difficult to do, but it’s much easier than you think. Fresh air needs to be circulated throughout the house regularly in order to have good air quality. Even during the fall and winter, you should open your windows for a few minutes periodically to ventilate the indoor space. The best way to do this is to open up windows on opposite sides of the house. That way, the air is being pushed the entire way through the house, removing toxins and pollutants and introducing fresh air. Humidity levels indoors should be between 30% and 50%. Too much humidity can cause mold and dust mites. Using a dehumidifier helps control the humidity, as does running the HVAC unit. Volatile organic compounds are harmful chemicals that are emitted from certain cleaners, air fresheners, candles, detergents, and paints. When buying products, choose all-natural cleaners and detergents and candles made from soy or beeswax. You can even find VOC-free paint and building materials. Floors can harbor lots of dust, pet dander, and dirt. Keeping them clean will improve indoor air quality. Carpets are worse than hard flooring, however, both need to be cleaned regularly. 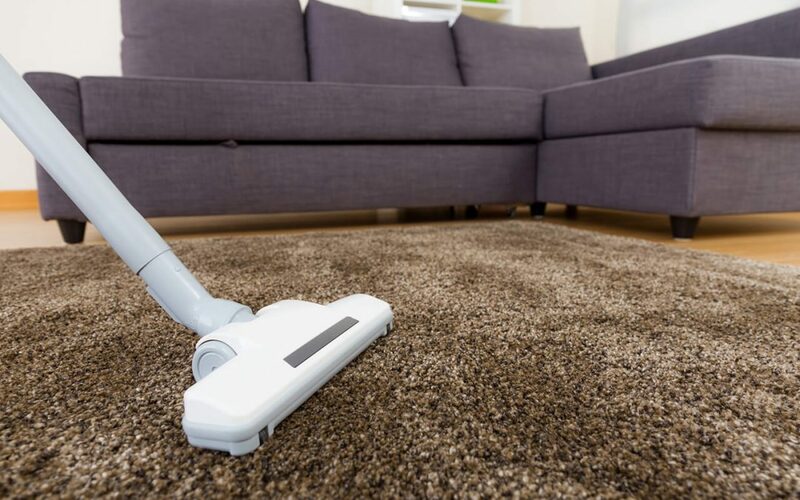 Carpets should be vacuumed at least a few times a week, preferably using a vacuum with a HEPA filter to trap the most particles. Cigarettes contain thousands of toxic chemicals. Never let anyone smoke inside if you care about your indoor air quality. If someone is smoking outside, make sure it is away from open doors and windows. Placing an air purifier in the busiest area of your home can help improve indoor air quality by trapping pollutants. If you have a heater with forced-air, the filter needs to be changed regularly. When the air filters are clean, they trap dust and other pollutants preventing them from recirculating throughout the house. If the filters are dirty, those pollutants are being put back into the air and causing your unit to work less efficiently. Check your manual to find out how often to change the filter. Making simple changes in your home will make all the difference when it comes to air quality. Start taking steps to improve indoor air quality in your home today. Assure Home Inspection provides home inspection and testing services including mold inspections and mitigation, radon testing and mitigation, and asbestos inspections. Contact us to book any of our services.